How should you call out a cheating opponent? The Etiquetteist: How should you call out a cheating opponent? This just in: Golfers are human, and humans are flawed. They stub chips, flub irons, top drives into the drink. In their darker moments, some even cheat. Which brings us to this week’s etiquette quandary: Whether, when and how is it okay to accuse a fellow player of being a c-word? For starters, let’s be clear. To cheat is not the same as to inadvertently violate the rules. Nor is all cheating created equal. A surreptitious foot-wedge, say, in a taut competition represents a different level of impropriety than a brushed-away three-footer in a casual match. Not that the latter is okay, either. We’ve all played with golfers who treat short putts as free rolls, making half-hearted strokes that they count only if the ball goes in. If it misses, they raise their arms and feign bewilderment. “Wait. What? I thought that one was good.” Conduct of that sort is sly and self-serving, and the rules of etiquette allow you to respond in kind. Rather than level an outright accusation, you’re better off pointing innocently to the facts. “No, that one wasn’t conceded,” you might note, as neutrally as possible, and move on to the next tee. Of course, your partner might decide to argue the matter. How you handle that depends on three factors: the importance of the match, the seriousness of the infraction, and the value you place on the relationship. In light-hearted matches with good friends, three-time PGA Tour winner Gary Woodland has the right idea. “Early in the round, I’ll let my buddies give themselves some putts if it’s close to the circle of friendship,” Woodland says. “If they do it too much, I’ll start giving them stick about it, and late in the round, I start deciding when to give them putts.” “Giving them stick” is the key phrase here. Among pals, good-natured ribbing can be an effective means of communication, getting the point across without rupturing friendships. But there are other ways of making yourself clear. In a more serious match, for instance, against someone you don’t know too well, diplomatic language is your best first course for addressing a mild rules breach. 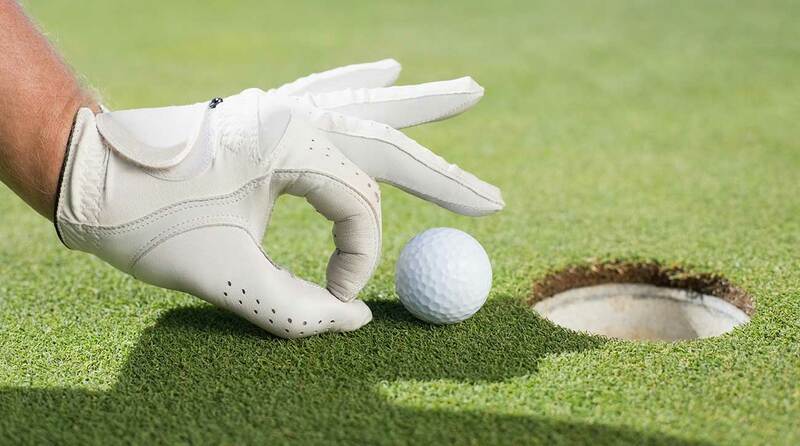 As in, “On that last hole, I noticed that you teed it up ahead of the tee markers.” Or, “I’m sure it wasn’t intentional, but you were pretty generous with your mark on that last putt.” Is that passive-aggressive? Yes. But, hey, this isn’t a marriage. It’s something far more sacred: a golf match. And if all goes to plan, the infractions will cease. In more brazen instances, when you’re dealing with an outright and unresponsive cheat, non-verbal communication can be effective. When your shady opponent sails a drive into the trees, you might walk alongside him as he hunts for his ball. Let him know that you’ve got eyes on him, and hope that he chooses to correct his ways. Odds are he won’t. People cheat for all kinds of reasons and rationalize their actions in all kinds of ways. If the match itself doesn’t mean that much to you, you could remain silent, let the cheating slide and hope that karma takes its course (just be warned: the karmic wheel, being fictional, doesn’t always spin toward justice). In the face of cheating, you’re also well within your rights to call off the competition on the spot. At this point, you’re free to use the c-word. Call the cheat a cheat, and make it clear you’ll never play with him again. This, of course, is the nuclear option. You should be prepared for the consequences. It will certainly cause friction, and it might cost you a friendship. But if a friendship perishes in the fallout, it probably wasn’t healthy from the start.